This is our first project we handled in Africa. 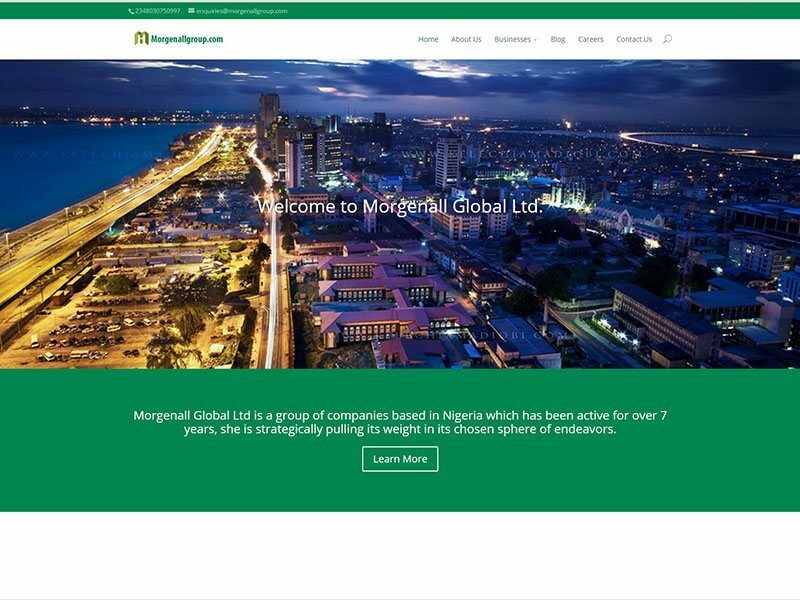 The Morgneall Group is a diversified company in Nigeria that required a state of the art Mobile friendly website that can support both its medical services clients as well as its home decor retail services division. The Medical services division is run by Jeff Ibe while the Home Decor stores and division is run by his wife Just Ibe. The site was designed with the country colours of the Nigerian flag in mind. Upon completion of this project a video tutorial on how to update and add content was created for this client. This project was built in 30 days and within budget.